HannaH*s Field brings love, spirit, and organic fresh flavor to the people with their "modern hippie Rasta folk". In a time where connections are made with clicks and tweets, their songs encourage people to lead with their hearts and love their brothers. For the past decade HannaH & Chef Bliss have been writing and touring the country as a duo. Their last release, “Music Magic Medicine”, wove 15 musical tracks with a vegetarian/wheat free cookbook written by Chef Bliss. Click on “Chef Bliss” for delicious vegetarian recipes. Nominated best female vocalist in the Hartford Advocate for many years, this powerful songstress has shared the stage with such great acts as the Average White Band, the Brothers Johnson, Gov’t Mule (members of the Allman Brothers Band), Derek Trucks, Donna Jean (from the Grateful Dead), the Samples, Percy Hill, Spiritual Rez and Sound Tribe Sector Nine. They have performed at such venues as Toad’s Place, The North West Organic Brewers Festival, Pearl Street Nightclub, Woodstock Reunion at Yasgurs Farm, Unifier, the Bite of Oregon, and Ziontific Music Festival. Their new release “Revolutionary Soldiers” again showcases the award winning voice of HannaH and the heartbeat of Chef Bliss’ drum kit. With the addition of Aidan Moore’s melodic guitar and the funky rhythms of John Pitblados bass, HannaH’s Field is further filled with upbeat reggae, soul and rock. 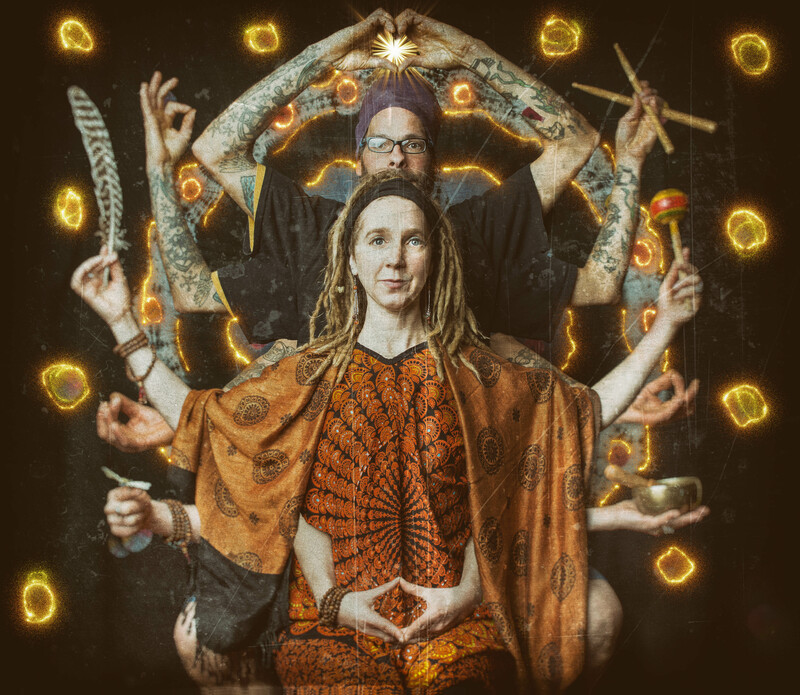 Brett Wilson's (Roots of Creation) guest vocal performance on the title track, is reminiscent of Sublime and guests Rhythmic Circus add party vocals on the last song, "Consciousness and Love". If you were old enough to be at Woodstock or young enough and wish you were, give this album a listen. Or join the band when they play Yasgurs Farm this summer - the original site of Woodstock. Either way, you won’t be disappointed and you’ll be supporting your inner Revolutionary Soldier!